A few decades ago, transacting in a banking hall was a hallowed experience. During the end of the month especially, customers not only queued for hours on end to be served by the often tired cashiers, but they had to be very clean and dress smartly lest they spoilt the aura of sacredness that was associated with the imposing halls. This was nothing short of a ritual. Luckily, times have changed. With the advent of technology, the brick and mortal model traditionally associated with banking is gradually crumbling. From the comfort of their houses or work places, customers can now use their mobile phones to make banking transactions conveniently and efficiently. This revolution has ushered in an era of fast development in cutting edge mobile banking products and a very exciting customer experience. With the deepening of the digitization process, an opportunity for banks in the country to develop a fintech company that would provide interoperability arose. That way, they would be able to communicate with each other directly. Accordingly, the Integrated Payment Services Limited (IPSL) – a fintech company owned by members of the Kenya Bankers Association (KBA) – unveiled the PesaLink brand in February 2017. The brand was formally launched in July 2017 with 27 commercial banks on board. “The decision to establish a company jointly owned by KBA members was informed by the fact that doing so individually would have been very expensive and complicated,” says Agnes Gathaiya, the chief executive officer (CEO), IPSL. Before the establishment of PesaLink, banks would only be able to share automated teller machine (ATM) services by using either the Visa or MasterCard switches which were based all the way in the United States of America (USA). Additionally, they would only send money to each other either through electronic funds transfer (EFT) or real time gross settlement (RTGS). Effectively, that slowed down the velocity of money. Secondly, the advent of mobile phone- based money transfer services in the country got people accustomed to a certain level of efficiency and convenience. This challenged commercial banks to come up with a service which would efficiently send amounts of money larger than what the telcos were doing. “At PesaLink, the average size of transaction is Kshs. 86,000 which is way above what the telcos move,” says Gathaiya. PesaLink offers instant payment and it is available round the clock. “One of our major objectives is to make our economy cash light especially as it endeavours to run on a twenty four hour basis,” she emphasizes. Through this innovative platform, money is paid directly from one customer’s account to another. This process is cost effective and efficient because it does not go through unnecessary loops. Essentially, PesaLink is a payment gateway that is connected to banks forming its membership – currently they are thirty. All of them have equal shares. “Our most critical mandate is to ease payments, significantly bring down the cost of transaction and to create a new efficiency in banking services,” she avers. To become a member of PesaLink, the bank in question must undergo an elaborate and thorough audit process. The process starts with an application letter to IPSL. The applicant is then given a set of minimum standards on technology that must be met before being considered for membership. After meeting those standards, the IPSL team starts integrating its system with the applicant’s to verify whether they are compatible. This is followed by further tests to ensure that there are no threats, before the full integration and going live. Finally, a pilot is conducted. 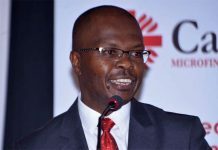 “The results of the pilot are then taken to the Central Bank of Kenya (CBK) for product approval,” says Gathaiya. The PesaLink team is currently working round the clock to ensure that it brings on board all the commercial banks in Kenya irrespective of their size. The fintech is also planning to roll out a partnership with the government of Kenya’s official digital payments platform – eCitizen. This will enable customers to pay for government services directly from their bank accounts. Besides commercial banks, PesaLink is also planning to grow its membership by bringing on board microfinance banks and as well as savings and credit co-operative societies (Saccos). 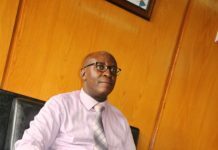 “ We want to ensure that Saccos which are very critical in deepening our financial sector are able to disburse money to their customers on a real time basis, besides collecting the same,” Gathaiya observes. Moreover, there are plans of offering this key service to merchants as well as third party payment providers. During its first twelve months in the market, PesaLink moved a total of Kshs. 38 billion within its platform, while in the last six months, it has moved Kshs. 43 billion. 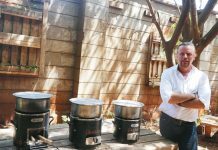 “We have a very fantastic product and our challenge is to create more awareness about it in the market,” observes Gathaiya. Tasked with the responsibility of moving huge amounts of money, PesaLink has an obligation to ensure that all the transactions are clean. UK was the first country in the world to offer instant payment, but the trend is fast being embraced by other countries. “Instant payment enables customers to move money fast and securely; it is very ideal in enhancing trade,” she further says. Currently, CBK is working on a policy that will allow cross border payments through instant payment platforms like PesaLink. Once it has been implemented, the policy will enable business beyond our borders to thrive. “Clearly, that is our next frontier in our quest to grow our brand and we are eagerly looking forward to its implementation,” Gathaiya ends.